For the hyper-organized bookworm in us all. Of course, I'd need about six dozen of these to even begin to hold my to-read and read collections, but still. These are awesome. Courtesy of my loving husband, image via Imgur. Hah! That was my first thought, too...it's not big enough! I love it! But, as everyone else says, it needs to be at least a hundred times bigger...! You're right. These are awesome. Totally not functional, but awesome. 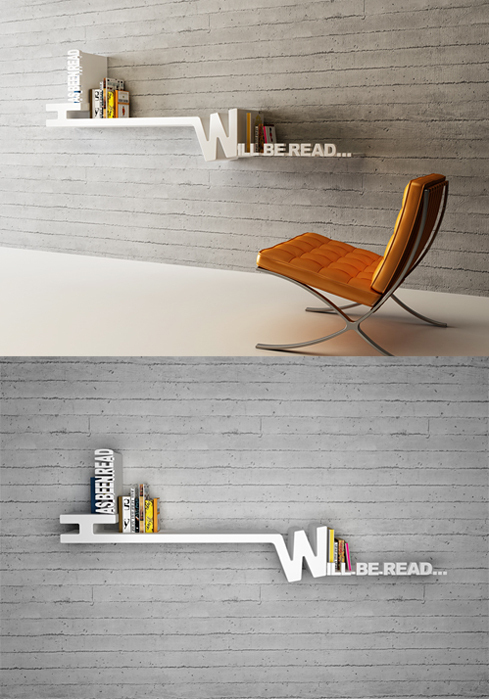 oh i love this bookshelf! too cool! Love it! But it's definitely more for the ruthless among us! But what a small shelf... I mean, honestly, who among us has such a small amount of books to rest on the "will be read" side?